I wrote this as an article which was published in Ocean Paddler magazine. The storm is unrelenting. I have been caught within it for what seems like an interminable length of time. There seems no way out and it takes every ounce of my energy to struggle through. Every opportunity to escape seems impossible and the only solution it seems, is to give up. To resign myself to the force of nature and let go. In fact, this is really what I desire, and I begin to allow myself, battered with fatigue, to drift away from reality. Somehow, a glimmer, a spark of fortitude remains, and I grab onto this at the very last moment. I reach out, I call out and assistance is there. Safety beckons and with my last reserves of energy, I embrace life and allow myself to accept the truth. I cannot do this alone and I require professional intervention. The above is not a dramatic account from one of my sea kayaking adventures. It is in fact a narrative of my battle with clinical depression last Autumn, my strong desire to complete suicide and my eventual admission into a psychiatric ward for my safety and recovery. I live with depression which from time to time is severe enough to see me admitted to in-patient psychiatric care. It’s an illness which has dogged my adult life and one I struggle to overcome. The clinical term for my malaise is ‘treatment resistant depression’. This means that the myriad interventions I’ve received have so far been unsuccessful and future options are diminishing. In the end though, I invariably make it through the worst of the debilitating episodes and I return to healthy normality somewhat battered, but inwardly stronger for the experience. The problem though, is the danger I face when I sink into one of my suicidal phases. The desire for death is so emphatic and real, that unchecked, I may in one irreversible moment see this through. 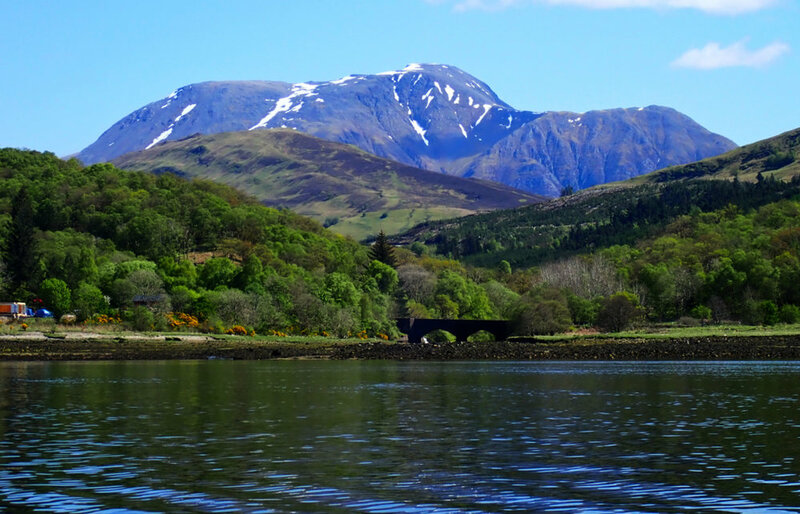 Fast forward to 15th May this year and I’m standing on the shores of Loch Eil about to embark on another of my long sea kayaking journeys; the Three Peaks by Kayak. This was a fund-raising venture for Odyssey, a small cancer charity I have worked with and continue to be involved in. There was a back story too, linking the Outward Bound centres of Loch Eil, Eskdale and Aberdyfi by beginning at the first and finishing at the latter. I am a former Outward Bound instructor and had long wanted to undertake this challenge when working for them many years ago. There was also another reason for undertaking this journey, one of recovery. I find solace through my immersion in wild landscapes and sea kayaking offers me the purist way to connect with my world around me. In many respects, the challenge of kayaking from Fort William to Aberdyfi in mid-Wales and climbing the mountains of Ben Nevis, Scafell Pike and Snowdon on the way was a straight forward venture. It turned out to be a kayaking distance of eight hundred and thirty-two kilometres with some challenging windy conditions, the usual tidal gates to pass through, a few long open crossings and Liverpool Bay to traverse! I paddled this expedition solo and set myself the arbitrary timescale of a month to complete it, (which I managed to do with a few days to spare). I’m no stranger to solo expedition kayaking having visited in 2015 every one of at the time, forty-seven RNLI lifeboat stations in Scotland, an unsupported kayaking journey of 2960 kilometres. In 2017 I kayaked the route of the Scottish Islands Peaks Yacht Race and climbed the mountains of Ben More on the Isle of Mull, the Paps of Jura and Goat Fell on the Isle of Arran. Paddling solo is my preference. An account of my Three Peaks by Kayak journey would be one of many perfect sunny days, unexpected and challenging strong easterly winds for much of my traverse of Scotland, incredibly beautiful and dramatic coastline of course, meeting fantastic people and plenty of humorous anecdotes. It was very much a typical sea kayaking adventure; packing, kayaking, decision making, some eventful seas, beautiful campsites and so on. However, it was far more than all of that. It was in fact a hugely profound experience for me. When I worked for Outward Bound in the eighties and nineties, the seminal book about our profession at the time was; “The Conscious Use of Metaphor in Outward Bound” by Stephen Bacon. I even went to a training workshop run by him. Very simply, we were encouraged to frame the outdoor activities our students were presented with as metaphors in the hope that this would enable them to establish useful links between their Outward Bound course and their lives at work and home, thus making meaning of their outdoor experiences. Ever since then, I’ve lived my own outdoor life metaphorically, gaining insights about myself and how I relate with the world through the experiences I’ve encountered. It was no surprise then that this adventure would be the same. What I didn’t expect was how incredibly therapeutic it would be. Standing on the slippery rocks of the Loch Eil foreshore, about to climb into my kayak and set off, I realised how low I was feeling. I didn’t want to leave the safety of my home and the companionship of my wife. I was unsure of my ability to successfully take on the challenge before me and unusually, I felt fear. I was fearful of the seas and the potential hazards ahead. I wasn’t experiencing the excitement and the anticipation I hoped for which would see me cheerily on my way. Instead, I paddled the eight short kilometres from Loch Eil Outward Bound to Fort William conjuring excuses and reasons to abandon the expedition in its early stages. Then, I climbed Ben Nevis in the small hours of the following morning, arriving as planned at the summit as the sun rose. There followed two wonderfully calm days of kayaking southwards reaching as far as Knapdale on the Kintyre coast. My spirits were lifted and I easily settled into my familiar life of an expeditionary sea kayaker. A 4am encounter with an Otter visiting me in my tent on the Isle of Luing, while I was drinking coffee highlighted the joy of the experience. From Knapdale onwards the challenges set in and so did a resurgent struggle with my depression. The winds and the seas picked up and I found myself struggling to make headway. The bonhomie with the world I had been enjoying over the previous couple of days dissipated, to be replaced with a familiar depressive malaise. 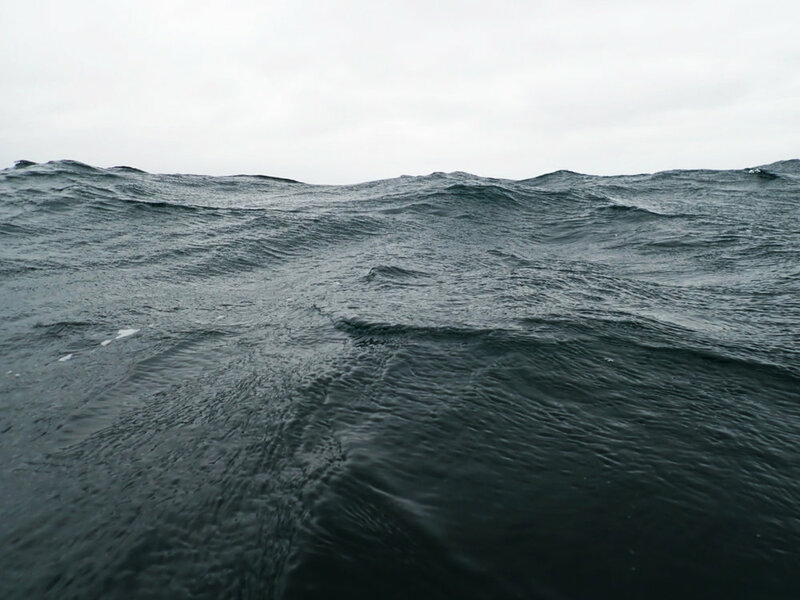 I was shaken by how easily my depressive thinking surfaced and at one point, I was frightened to find myself considering how easy it would be to capsize my kayak in the heavy seas and to drift away down into the Irish Sea. My inevitable death would appear to be a dreadful kayaking tragedy. When this thought occurred, I was heading for Machrihanish, still about nineteen kilometres away. With waves breaking around my waist and realising that a huge swell would make any landing down there hazardous, I decided that I needed to make for the shore well before then to sit out this bout of bad weather. I shifted my thinking from self-annihilation to self-preservation. It was that simple. A rocky reef provided me with the break I needed, and I landed on the Kintyre shore with the merest of ripples to contend with. That night in my tent, I reflected on what had occurred and with a surge of powerful realisation, I recognised my innate desire to remain alive. Ahead of me, twenty-seven kilomteres away, loomed the Mull of Kintyre and its fearsome tidal race reputation. To make the tidal gate here and get through it safely, required an extraordinary early start. This meant waking at 2am and departing at 4. The forecast was for easier weather, so I decided to make this happen. The early morning rise, breakfast and packing in the dark was not as arduous as I anticipated. In fact, it was quite the opposite with a sense of pleasure at heading out to sea while the world around slumbered peacefully. The sun rising and bring light and warmth to the day as I kayaked along the Machrihanish Beach emphasised the joy to be gained from this type of experience. All went according to plan and I rounded the Mull of Kintyre just as the tide turned against me, gently and without the roaring tide race I have yet to encounter there. I repeated this experience for my traverse of the Mull of Galloway, this time an hour earlier. Again, I was rewarded with wonderful early morning solitude as a nearly full moon slowly descended, seemingly disappearing into a mirror calm sea. In fact, pre-dawn starts became the norm for this kayak journey as I repeated them several times further along the coast. What I took from these experiences was a powerful reinforcement that I have it within my ability to make positive things happen. I could easily have chosen to tackle the tidal gate later in the day, accepting I would round the Mull in the late evening and arrive at Southend almost in the dark. By motivating myself to rise early and set off into the dark, I gained a fresh perspective on my journey and found myself enjoying this. I recognised too a sense of personal pride in my determination to grasp the challenge. I learned that this translated easily for my recovery process from my depression. The opportunity for change always exists, it’s up to me to seek it and make it happen. Landing on the iconic island of Ailsa Craig with its cacophonous gannetry was a highlight of this adventure. I had long wanted to visit the island by kayak, and achieving this after a thirty kilometre crossing from Southend on Kintyre was especially rewarding, particularly because regular squadrons of gannets flying low overhead appeared to be welcoming me in. It was here where I noticed my solitude on this trip. Descending from the 338 metre high summit of the island where I had enjoyed the most incredible sunset over the expanse of an empty Firth of Clyde, I slipped on a patch of bluebells and tumbled headfirst down the steep slope, manically attempting to protect my camera and binoculars in my hands. I ended up in a crumpled heap a good few metres downhill with an excruciatingly painful elbow. The next morning, I was greeted with the sound of a gusting force 5 and the awareness that the pain in my elbow had worsened. It was tender to touch and very painful to bend. With a sense of panic, I assumed the worst and rather stupidly posted my concerns on my Twitter feed. I then found myself reassuring concerned followers that I was safe, well provisioned and didn’t require rescuing by the RNLI, who ironically, came to my rescue on Twitter by tweeting an acknowledgement of my ability to care for myself. What followed was an enforced day of rest, allowing me to explore my castaway surroundings. The abandoned Northern Lighthouse Board buildings were fascinating with remnants of the keepers’ lives lying in the rooms where they had been used. The wild flowers were delightful. The 16th century castle tower was incredible and appeared to have weathered the centuries better than the contemporary buildings. The bird life was spectacular and coming across a large slow worm basking in the warm sunshine, was a particularly intimate encounter. Exploring all of this on my own with the sense that I was indeed a castaway, was incredibly rewarding. 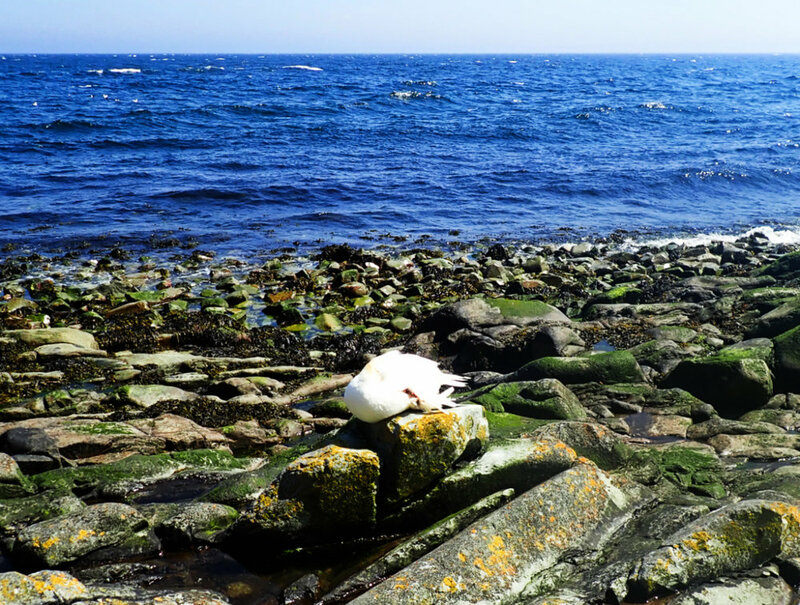 Reconnoitring the ‘Temple of Doom’ like walkways along the eastern edge of the island I happened upon an obviously injured gannet perched upon a rock, its head tucked deep under its bloodied wing. At first glance I thought it may be dead but then the slightest of shivers which ruffled its glorious feathers, showed me this was not the case. I stood stock still, suddenly deeply impacted by the painful reality that for this poor bird, there was no future. It had chosen to perch on the rock to wait for its inevitable death. There was nothing I could do. Any means to put it out of its misery would be brutal and anyway, I didn’t want to play ‘God’ and hasten its death unbidden. I walked away back to my tent, the angry white capped sea to my left emphasising the potent force of Nature. This was a powerful moment for me, the issue of death being forced into my consciousness again. It occurred to me that unlike the poor gannet, humans are afforded the opportunity to choose the manner of our death. Faced with the inevitability of a dire diagnosis or indeed, suicidal desires, we can choose to curl up and wait for the inevitable end, even hastening it, or raise our heads and face it head on, living our lives as fully as we can before the moment arrives. We can fight too. We can medicate ourselves, undergo surgery and accept professional intervention to prolong or overcome the illness we are faced with. On Ailsa Craig, alone, almost like a shipwrecked mariner, I received the most illuminating awareness of the whole adventure. Choose life! A few days later, after rounding the Mull of Galloway in the mid-morning after a pre-dawn start, I was faced with the twenty-seven-kilometre crossing of Luce Bay – against the tide. The weather was benign, and the sea was calm. The forecast for the following day was for force five easterlies, so I either set off there and then, or accepted I would be stuck by the Mull of Galloway for at least another day. I vacillated. I was weary and I knew that the tidal stream flowing out of the Solway Firth would be tough to contend with. However, I wanted to press on and make it at least to the Isle of Whithorn where I could sit out the strong wind next day in relative comfort. There was an hour or two of tide left in my favour, so I set off. Indeed, I made it across to the eponymously named Scares eleven kilometres off the Mull coastline in good time. However, after I had made it through the churned waters around the rocks with some nervousness, it seemed to me as if all progress was halted. The hazily indistinct coastline was sixteen kilometres away and regular glances at my GPS showed my progress was counted in metres not kilometres. While checking my GPS, I would drift backwards! My heart was heavy. This moment seemed interminable and hopeless. I rued my decision to set out and began to consider returning to the Mull of Galloway with the tide. Somehow though, I kept going one slow, heavy paddle stroke at a time. The sun burnt down from a cloudless sky, my hydration bag now empty of water and my throat parched. It seemed as if the gannets and the cormorants swirling around the Scares still only metres away, were in fact vultures waiting for my demise. My spirits were at a low ebb. Then, because it was the nature of this adventure, I began to view my predicament in a different vein. Of course, it was tough. I was fatigued, and I was desperate for the eventual comfort of my tent. However, this moment would not last for ever. Eventually, in only a few hours, the tidal flow against me would ease and then change direction altogether. There would still be plenty of daylight to see me land at the Isle of Whithorn. If I could sit with my discomfort, then all would be well. This then, was another compelling lesson for me to embody. On the back of the insight gained on Ailsa Craig to choose life, sitting with my discomfort knowing that this will not last for ever, was powerfully enlightening. Those words, “will not last forever”, were often spoken to me by the nurses on the psychiatric ward when I was in hospital. They made sense then of course but sadly carried little weight. Now though, in the middle of Luce Bay, with a powerful tide against me, I understood them completely and laughed with joy at their enduring simplicity and truth. Again, a few days later I was landing further up the Solway Firth on the depressingly rocky shore of Rascarrel Bay. I had struggled for the previous couple of hours against a force six headwind and an accompanying lumpy sea. Suitable landing places were almost non-existent, let alone those with good enough spots to camp. Rascarrel had seemed the most likely option and when I arrived, the tide was way out and I was faced with hundreds of metres of large weed covered and barnacled boulders over which to carry bulging IKEA bags and my kayak. It was also pouring with tropically intense rain. I set about unpacking the boat, knowing that in these conditions there was little hope in keeping things dry, when suddenly a pair of wellies appeared in my peripheral vision and a voice asked, “Would you like a hand?”. Angels it seems, wear wellington boots! I was warmly welcomed in by the Smith family, third generation hutters of Rascarrel Bay. They invited me to camp in their garden and fed me jam and ham sandwiches! Again, I was confronted with a convincing metaphorical awareness, that when the chips are down, there will be moments of unexpected help. By now, over two weeks into my journey, I had at last found the joy and the pleasure to be gained from the adventure. I had faced many dark moments. I had also allowed myself to accept the many nuggets of Nature’s instruction offered to me during these. As a result, I was strong again. The subsequent days and kilometres drifted by, each with substantial challenges, but all faced with equanimity. 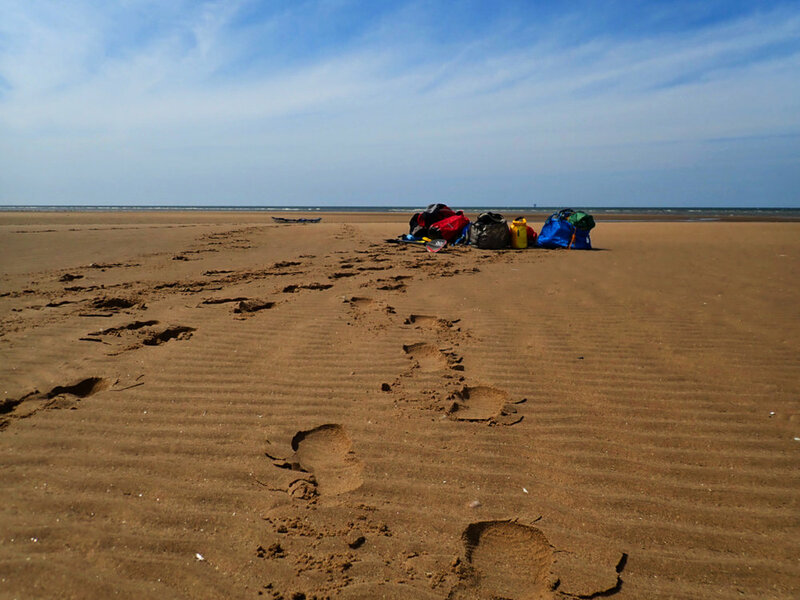 In fact, I sought some of these challenges before they presented themselves, culminating in an eighty-six kilometre penultimate day of my journey when I kayaked the full length of the Lleyn Peninsula and then crossed Cardigan Bay to camp on Shell Island beach. The final day of the adventure was particularly fitting in that I arrived to a warm welcome from friends at Aberdyfi, the place where my professional life in the outdoors began in the mid-eighties and where a portion of my heart will forever reside. After all I have been through, it was affirming to be welcomed so warmly and to celebrate my achievement of completing the Three Peaks by Kayak, a challenge which nearly a month earlier, on the shores of Loch Eil, I doubted my ability to accomplish. One of the tasks presented to us as Outward Bound instructors was to facilitate the transfer of learning from an Outward Bound course to the students’ home or work, so that new awareness and opportunities for change were enduring. Having presented the activities they encountered metaphorically throughout their course, this process was not too difficult to manage. Now that I’m home after this kayaking adventure, I too am confident that the self-awareness I gained from this venture will be long lasting. My recovery from my clinical depression will never be straight forward, but now, I have powerfully metaphoric memories to recall when those tough times revisit me in the future. I was raising funds for Odyssey, a charity which provided transformational outdoor courses for people with or have had cancer. My fundraising page remains open - here. Thank you. September 10th 2018 was World Suicide Prevention Day. To mark the day from a personal point of view, I put up a post on my Facebook page and Tweeted too. A few weeks ago I was filmed by the RNLI Film and Image Unit for a short film they are making about my voluntary role with Tobermory RNLI Lifeboat and my accompanying mental health struggles. I recently had a long and helpful appointment with ‘my’ Community Psychiatric Nurse after a long period of not seeing her. This blog entry is a description of how I live with my suicidal thoughts. I hope by sharing this incredibly intimate aspect of my self, I will help increase awareness and understanding about deep depression and suicide. This is an account of my personal experience and cannot be read as a generalisation of suicide per se. I am confident though, that there are contextual similarities with others who struggle like me which will be helpful. Recently, despite the many good aspects of my life and my uniquely privileged lifestyle, I have been fighting familiar intrusive thoughts that my life is worthless, that I am worthless and it follows that the most natural conclusion is to take my life. These are not constant thoughts which continue to eat away at me through the day and night. They intrude at the most inopportune moments, sometimes fleetingly but generally with enough force to stick for a good while. They are private thoughts, triggered by any number of interpersonal interactions, thoughts, memories and moments. An incredibly astute observer might see for a split second, a grimace of pain cross my face when these thoughts of death reach into me. They would also hear me emit a muted cry of pain or a deep, lingering sigh. Since I’m so used to this happening, I find myself burying these thoughts and feelings, fighting them inwards and hiding them deep within me. I used to be a psychotherapist so ‘internal dialogue’ fits comfortably as a term which describes what’s occurring. The thing is, there is no voice attached to these thoughts. I do not hear myself or anyone else, actual or imagined. They are thoughts accompanied by powerful emotional and physical feelings. Essentially they are beliefs - basically an overarching belief that my life should come to an end because of my ineptitude as a person. Whether these thoughts are serious enough for me to become worried about my intentions and I consequently reach out for help, depend on how I grade them. Because I recognise them so clearly now, I give them levels of seriousness depending on how they arrive in my psyche, into my being and how durably they ‘stick’. First off I have the fanciful thoughts. The ones which are romantic notions of taking my life. This could be anything from the day being a lovely and sunny one, when I might think, “this would be a nice day to die”. Or, “I could head out in my kayak, capsize and drift off towards the far horizon”. The latter might be a response to recalling a moment of embarrassment when I believe I behaved badly to someone in my past. This kind of fanciful thinking serves to assuage my painful thinking in the moment by being a distraction, where I fantasize about a semi-honourable death, drifting off towards slow oblivion in a suitably restless sea. A level up from the fanciful ideations are the ‘thought punches’ into my head and the ‘body blows’ into my being. These are powerful enough to stick and set in train semi-serious thoughts of suicide. Unchecked they might build into more enduring beliefs that the most obvious solution is to take myself off to my chosen tree and hang myself. If they occur in the dark hours of the deep night when I ping wide awake, as I often do, I might consider slipping out onto the deck of our yacht and lowering myself into the night-time sea to eventually die of hypothermia. I would be clad only in my underpants because I never want to be found naked. These thoughts and feelings of powerful desperation are promulgated by the more entrenched self-beliefs I hold about myself. Examples of these being; believing I’m a feckless father, a life failure in employment and business, a wasteful daydreamer, an untrustworthy person, a poor friend, I have nothing of worth to offer, I am a burden, and so the seemingly inexhaustive list continues. These thoughts and feelings may present themselves at any time, whether life is going well or I’m struggling with a dose of depression. Generally of course, they are stronger and more present when my mood is low. I have learned to rationalise these thoughts, to attempt to see them for what they are and realise that it’s certainly not logical to act on them. If I think I’m struggling with this process I might express to Karen (my wife), that I’m having a tough time and “I’m feeling suicidal”. This one simple sentence, spoken out loud and knowing I have been heard, is usually enough to dissipate the strength of the feelings and/or the thoughts I’m experiencing. This is a dangerous time for me. This is when the thought of death has become realistically pragmatic. It has shifted from being an attractive desire, to one where it is now the most reasonable solution. When I am at this depth, I begin to make my plans. I have already chosen my tree. It is local, within ten minutes walk and hidden from public view. I know the type of rope I will use and its length. Being an outdoor instructor, I know the specific knots I will tie. The only unknown is whether to leap off the branch in the hope I break my neck, or lower myself off and hang until strangulation has done its work. More recently I have been considering immersion in the sea and dying of hypothermia but here, I find myself pulling up short, because I don’t want my Tobermory RNLI colleagues to be the ones who find me. In terms of being found, I have in the past prepared letters for the local police and coastguard with GPS coordinates of my suicide location. I have also written letters to individual family members. When this is occurring for me, I am now in the grip of deep depression with a very strong desire for suicide. Even in this state, with every fibre of my being now craving my obliteration, I find within myself a desire to hang on to life and I make my thoughts and intentions known, not only to my wife but my community mental health support network too. This may be the psychiatrist, the community psychiatric nurse or the local GP. I will do so knowing that I may be admitted to hospital and in some respects, this is what I desire for hospital is a safe haven for me. What I fear most, is that the final decision to take my life will be made beyond my conscious awareness. I know within myself from my adventure activities, that before a risky undertaking I have a propensity to weigh up all the factors, and once done, if they are in my favour, to suddenly act without a conscious decision to do so. It’s almost as if my body moves into action before a cognitive process has taken place. I believe that if (when) I take my life, this is how it will be. I will be in the firm grip of a belief that death is the only course of action to take, I will have negated the consequences and I will act on this - suddenly. I use the word courage to describe the motivating emotion which will literally see me release myself from the tree branch I will hang from.. Equally, it is courage which drives me to struggle against the forces raging within me. The belief that I must die is real - in that it appears very real. Any amount of dissuasion by concerned others does not seem to work. I hear their words but do not take them in. In a vain act of self-aggrandisement, I argue the reasons why I believe I have the right to choose my own path and it’s far better for me to end the pain I am struggling with - for pain it is! It’s a palpable emotional, cognitive and physical pain, gripping my thinking and emotions along with a agonised chest. My mind is a continuous maelstrom of self-destructive thinking and the dreadful reasons why this should be the case. In these moments despite my firm belief that I must die, I do find myself making agreements to keep safe and to make contact with the health professionals if I’m feeling close to acting. In this regard, I’m thankful that I’m a person of some honour because I feel duty bound to keep my word. When I’m considering taking myself off to my death, I find myself agonising with the fact that I would be breaking my word if I went through with the act. However, even then, I have moments when the desire for death is more powerful than my reasoning and this is when I will choose to be admitted to a psychiatric ward. Here, cocooned in the warmth of the ward, I believe myself to be safe. Recovery happens. Inevitably it takes root within the process of my struggles and inexorably I begin my long climb back to normal reality. Slowly and surely the light and colour returns to my world and to my thinking. Through dialogue and peaceful ‘time out’, I readily grasp onto nuggets of hope and my beliefs of the inevitability of my death are replaced with aspirations and plans for the future. Needless to say this process of recovery is not linear and there will be times when it seems as if I slip backwards. These moments or relegation become sparser as time goes by until at long last, I’m feeling like my happier adventurous self again. Recovery does not mean an absence of my depression. This will always be there in my life and very recently, I have come to accept that it is an illness I will have to live with, rather than constantly seek a cure. Not having acted on my suicidal desires and thoughts does not mean that I do not have them or that they are not serious. These are not prosaic cries of help which I have often heard suicide referred to in the past. They are real for me and it is only through fighting hard for myself, that I manage to keep myself from acting on my desires. Being open about my mental health struggles is becoming increasingly helpful for me. Each time I share my struggle (as I am doing here), I gain confidence in sharing more often because of the warmth and the love I receive when I do. My online community of friends and acquaintances are instrumental in this process. Twitter for me is a power for good! I hope that by being open I may normalising the dialogue around the subject of suicide. This is my hope, that increasingly, our society will become less offended or frightened by the subject and becomes willing to really listen to those who need to talk about their suicidal thinking. It is my experience that it is not helpful when I express my suicidal desires some people either change the subject away from the issue, or attempt to make it better by telling me of all the reasons I have to live. I term the latter a sticking plaster approach. Both responses are undoubtedly well meaning and I am grateful for any time I am given by those who have a desire to see my internal pain healthily diminished. To bring this blog entry to conclusion, I want to say, at the moment of writing this I am safe. I am currently experiencing suicidal thoughts and feelings but I have these in check. There is enough firm reality in my life for me to focus on and I have exciting plans to fulfil. 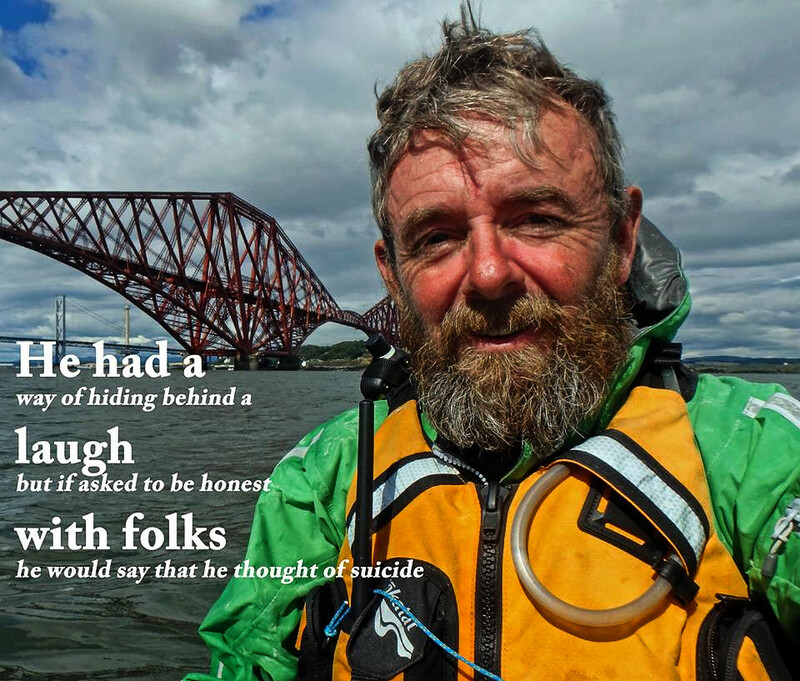 Additionally, there are the powerful metaphoric insights I gained from my 3 Peaks by Kayak journey earlier this year to remind me that suicide is a permanent solution to an impermanent situation. The simplest and most enduring of the metaphoric insights being “live life” when I saw a tragically injured Gannet on the island of Ailsa Craig and “this discomfort will pass” when I was struggling across the eighteen long miles of Luce Bay against a strong ebb tide. Finally, thank you for reading what I have shared and I welcome any responses you may have. If you have been touched by what I have written and my words resonate and have a personal impact on you, please don’t dwell and find someone you are able to chat to about what you are experiencing. Please take good care of yourself.